Your kids are going to love this fun, easy-to-make play recipe. 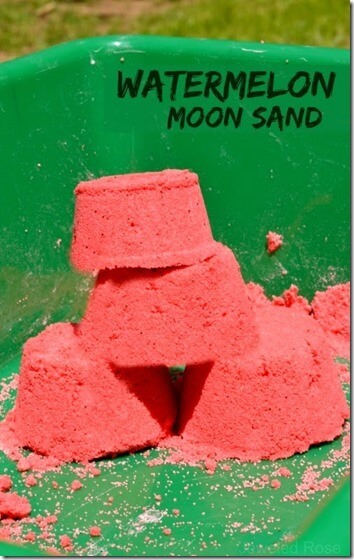 Watermelon moon sand recipe smells amazing and is loads of fun to play with. Great for toddler, preschool, kindergarten, and elementary age kids. This EASY Watermelon Moon Sand Recipe from Growing a Jeweled Rose is perfect for summer play. It smells amazing and has a great, easy to use texture kids are going to love.